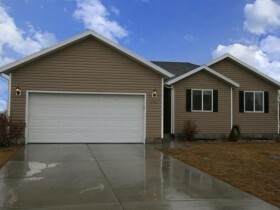 Spanish Fork Utah Home for Sale; Search Homes for Sale in Spanish Fork Utah. Our search offers the best online, live search engine in Utah County. The search has listings of all Spanish Fork Homes, condos, and townhomes for sale. When you subscribe to our Buyer's Club you will receive daily emails of every new listing and price change within your search criteria. You will have free unlimited access to every home listed for sale in Utah County. Interior Feat: Alarm: Fire; Bath: Master; Closet: Walk-In; Dishwasher, Built-In; Disposal; Range/Oven: Free Stdng. Remarks: See 30+ photos, Click Property Tour. Great home at the end of the cul-de-sac. Shows like a model, Large Dining area, vaulted ceilings, Laminate wood flooring. Easy to Show Call Today. What is Your Spanish Fork Utah Home Worth? What is a Comparative Market Analysis? A true comparative market analysis or CMA for short is a report that is created to give you an idea of what your home should sell for in the Spanish Fork area. The CMA will take into account numerous aspects of your home, to include recent sales, pending sales, and current listings that are within the same neighborhood and have similar characteristics as the subject property. The best part about a CMA is that it is free. Team Teasdale Realty is a team of professional Realtors that live and work in the Spanish Fork area. Paul Teasdale the Principal Broker will personally complete your Spanish Fork CMA. Paul has been selling homes full time in Spanish Fork since 1995.